Bungie and Activision's live stream event for Destiny 2 just wrapped up and there were some interesting new details revealed for the loot shooter. The title will have new worlds to explore and new loot to find, sure, but it also has a rather innovative idea about how to ensure all players can experience all that co-op content. In Destiny, if you wanted to do the Nightfall Strikes or the Raids, and didn't have a dedicated group of friends you could call upon, then you were out of luck. Bungie has come up with a way to try and make all of that content accessible to everyone with the inclusion of in-game Clans and a feature called "Guided Games," which will match up solo players with friendly clans to complete those very activities. The example given during the event was that if you want to check out the new Raid, but don't have a group of six friends, then you could hop into a Guided Game with a group of folks from a clan that's willing to help players through. Who knows, maybe you'll all hit it off and you'll find some new friends with whom to play. I had some pretty positive experiences using things like DestinyLFG and even the forums to play through that stuff in Destiny, so this is a solution for which I'm cautiously optimistic. Outside of that very nice co-op specific feature, Bungie showed off the four new worlds to which you'll travel as a part of the new story/campaign: the European Dead Zone on Earth, Saturn's moon Titan, Jupiter's moon Io, and a Vex world called Nessus). Rather than having you constantly bouncing back to orbit, Bungie talked about having each of the "Patrol" zones be a little more open and let you launch activities directly from there. There are also new activities in which to engage, like treasure hunts, NPC missions, and dungeons called "Lost Sectors." All in all, there are a bunch of "quality of life" improvements between the first game and this one that should make it a better experience overall. 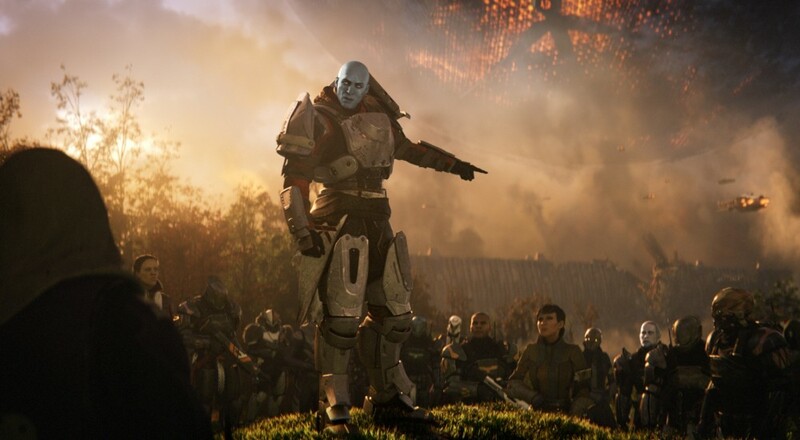 It's clear, not only from the language used during the event but the in-game sequence of events where you get kicked out of the Tower, that Bungie wants this to be a reboot of the mechanics but not the world itself. The existing powers will be dropped in favor of new ones (Titan's are Captain America now?) and even the weapon slots are changing. You'll now have Kinetic, Energy, and Power weapons, which will allow you to have similar weapon types in multiple slots. The last thing to talk about from the event is for all you PC players out there. Destiny 2 will be available on PC exclusively via Battle.net. Yeah, that was a bit of a surprise, though it makes sense given the whole Activision/Blizzard partnership. What this means is that servers for matchmaking and voice chat will all go through that service on the PC, which is a good thing overall as the Battle.net platform is pretty stable and reliable. Who knows, maybe there will even be cross-promotional stuff between games, like a Diablo III themed set of gear in game. Destiny 2 is slated for a September 8, 2017 release on PlayStation 4 and Xbox One. The PC version will be released at a later date that hasn't been specified at this time. Page created in 0.3177 seconds.